My grandchildren, all eight of them, love fortune cookies – both to eat and read. They always want me to read the fortune to them, and then give me a blank stare – they understand nothing of what it says. Personally, I usually ignore them – until this last one. It read as follows: Business is lot like playing tennis; if you don’t serve well, you lose! In tennis, that opening volley, the serve, is everything. You miss that first shot, you’re done. This same thing applies in business. The opening ‘serve’ is everything to a business, that first impression. That ‘serve’ must be done right from the beginning; there is no do-over. For seventeen years I’ve been the primary voice on the phone for this company, and I realized the first day that the ‘volley’ that I left with the person on the other end of the call had to be a favorable one. If the caller was not ‘served’ well, we would lose. We would not only lose them as a customer, but if they said anything to anyone else, we would lose again, and could keep losing – like a ripple effect in a pond. Customers have called crying; wives angry with their DIY’er husbands have called; and some have called who not only have diagnosed the problem, but they also tell me how long they think it will take to repair it – so it isn’t going to cost much, right? No matter what the situation, they all have to be handled in the right way, or we lose. You want that customer to tell others that the people at that company are friendly, cheerful, accommodating, knowledgeable, and they listened to me when I explained my problem. You must give that customer the feeling that at that moment they are the most important thing you have to deal with, and that you are there to ‘serve’ them. As in tennis, if you don’t serve well, you lose; that same thing is true in business. attached garages and/or the installation and/or replacement of fuel fired appliances. In this case, it was in reference to the replacement of a gas water heater. A section of the Residential Code of Ohio which became effective on January 1, 2013, is rather ambiguous in nature pertaining to the inspection for a carbon monoxide detector when the inspector is doing an inspection of a replacement water heater. The language in the code is inferred, rather than required; however, according to Montgomery County Building Regulations they will inspect for the presence of a CO detector. The inspector would specifically be looking for them in the vicinity of the bedroom group in the home even if the work being done is in a completely separate part of the house. 1. include a notice to the owner on the plan approval that the work being done will lead to a requirement for the CO detectors to be installed. 2. include a notice of non-compliance meaning that a requirement for the installation of the CO detectors is included. 3. include a notice on the certificate of approval for the work done that the approval includes a notice for the requirement for the installation of the CO detectors. Are they going to come back to your home to inspect for the CO detectors? The answer we were given was ‘no’. But, for the safety of our customers, and in order for our customers to be in compliance with the Code, we are strongly recommending that in the absence of a CO detector, a combination smoke and carbon monoxide detector be installed. This unit would take the place of an existing smoke alarm, instead of adding a second alarm. One unit we found is manufactured by ‘Kidde’, product 3P3010CU, and may purchased at Home Depot, Amazon, Walmart, and other retailers. The decision “to approve or not to approve” is in the hands of the inspector until the language of the Code has been corrected. It is unlikely that the approval for the water heater would be denied in the absence of the CO detector. The water heater installation itself would be the determining factor in whether or not the inspection passed. WHAT SHAPE IS YOUR ‘SILLCOCK’ IN? My what? My sillcock? You probably know it as a hose bib, exterior faucet, or outside spigot. As to the ‘shape’ of your faucet, we are referring to its condition. Your home is probably the most important asset you own, and minor plumbing issues can turn into major issues if not caught immediately. Temperatures are warming up (THANKFULLY!) and in the next few months your exterior faucet is going to get quite a work out. Very soon, if not already, many of you are going to be out preparing flower beds and/or gardens for planting, as well as washing the family vehicle. Having an exterior faucet in working order will be a must. Leaving your hose connected during the winter could cause damage to your faucet. A leaking exterior faucet will increase your water bill, and if it leaks in the house, the damage done could be extensive. We would like to suggest that when you turn the faucet on, watch for leaks from the body or handle, and also any leaking from visible piping. We also recommend that you check the inside of the house – the basement, under the kitchen sink – any place where the water line for the exterior faucet ties in. Without checking inside, water could be leaking for sometime before it is found. 1. Disconnect the hose and store it in the garage. 3. Purchase a foam cover for the faucet from a home center and put it over the faucet. This will insulate it and hopefully prevent freezing. Terms such as ‘sillcock’ may seem out-of-date, but we need to stay on top of things in our homes to keep them up-to-date and in good working order. Give Aaron Kramer Plumbing a call at the first sign of any issues with your exterior faucet. Please call us today at 937-898-0008. BRRRRR! It’s getting cold out there and, we hate to say it, but it’s going to get colder. After the relatively mild December of 2015, our weather is now in full snow and cold mode, and we are shivering! The cold not only makes us shiver, but it also makes our plumbing shiver! My plumbing? Well, not literally; but, the cold does affect your plumbing and some damage may already be done by the time you realize it. When pipes freeze and thaw, they burst; and the running water could flood your home and/or yard, not only causing damage, but it could also increase your water bill. Aaron Kramer Plumbing would like to offer some simple suggestions for protecting your home, your plumbing, and your wallet from the affects of the cold. All of your outside hoses should be disconnected and stored inside. If any of the exterior faucets are leaking, have them repaired to prevent them from freezing. For further protection, a foam insulator can be installed over the faucet to protect it from the cold. Turn the shut off valve(s) to the ‘off’ position that are on the water line(s) going to the exterior faucet(s). If the exterior water line is not isolated with a shut off valve, you might consider having one installed. We also suggest leaving open the cabinet doors beneath the kitchen sink to allow warm air to circulate. This could prevent the water lines to the kitchen sink from freezing. Do not use a torch or any other form of open flame in an attempt to thaw out the pipes. Should your water lines freeze, please call Aaron Kramer Plumbing to have them thawed out. Count down? To what? Actually, there are a few things that we are ‘counting down’ to. We are probably all counting down to the first day of summer, kids (AND TEACHERS) are counting down to their last day of school, and families are counting down to when they leave on that long awaited vacation. Aaron Kramer Plumbing would like to offer a ‘count-down’ list of things to do prior to being away from your home, even if it is just for a day or if it is for an extended period of time. 2. Have a trusted neighbor or family member check your home daily by doing a walk-through making sure doors and windows are (still) locked. 3. Don’t allow mail and/or newspapers to pile up thus alerting someone that no one is home. 4. Leave a couple of lights on or on a time along with a radio or tv giving the impression that someone is home. 5. Keep the yard mowed and flowerbeds weeded. 6. Have a neighbor park their car in the driveway, especially at night. 7. Alert your local police that you will be gone and supply them and a neighbor or two your contact information. Begin your ‘count-down’ now and enjoy your summer with family and friends knowing that you have done all you can to protect your home. For information about the services offered by Aaron Kramer Plumbing, your local Dayton, Ohio plumber, please browse our web site at www.aaronkramerplumbing.com and/or call our office at 937-898-0008 or 937-434-7470. PLEASE, don’t remind me! I know the 15th is coming and I’d like to scratch the day off the calendar! Believe me, we know how you feel, but the 15h is not the day we are referring to. We are referring to April 16th. Why the 16th? Did I miss something? You just might have. April 16th is the ‘hard’ date when appliance manufacturers have to stop manufacturing the current appliances on the market.  Any appliance made up TO that date can be sold and installed, but newly manufactured appliances must now meet new standards and requirements set by the Department of Energy in the National Appliance Energy Conservation Act (NAECA). The energy act was passed in 1975 and amended in 1992, 2005, and in 2010. Each amendment set new energy efficiency requirements and the 2010 amendment stipulates that the new requirements must be met by a long list of appliances as of April 16, 2015. These energy efficiency requirements are referred to as the energy factor or EF of that appliance. A higher EF should result in less energy consumption and therefore monetary savings to the consumer in energy costs. The NAECA stipulates the testing criteria that are to be used and the requirements, but not how the requirements are to be met. In other words, they don’t tell the manufacturer how to manufacture their products; they just tell them what the result has to be. requirements. The federal standards brought everything in line. How, specifically, do these new standards affect water heaters? Most of the new heaters will increase by 2″ in diameter and 1″ to 2″ in height. The increase in size is due to the amount of insulation that the heaters must now have. If the heater is located in a basement or a garage, there will likely be no issues as far as room is concerned. But, if the heater is located in a closet, utility, or furnace room, these locations may prove to be a challenge. An alternative location or an alternative heater may just have to be considered. Besides changes in size, gas water heaters above 55 gallons will now be required to have condensing technology and electric heaters above 55 gallons will be required to have heat pump technology. Heat pump water heaters won’t be found on the preferred list at Aaron Kramer Plumbing. The heat pump heats the water by stealing energy from another energy source. Your furnace then has to compensate for the loss of heat. These water heaters are also much heavier than conventional water heaters and must be transported standing up, they cannot be laid down like other heaters. Servicing these heaters may require two different technicians – a plumber for the water heater and an HVAC technician for the heat pump. The increase in the cost of the heater, the increase in the installation charges, and the increase to your electric bill to run the heat pump will probably not make this type of installation an economical choice for most homeowners. As to the cost of any of these new water heaters, yes, the cost will increase. Manufacturers have been making massive changes to their manufacturing facilities in order to make the products that meet these new standards; wholesalers and retailers will have to make changes to their storage and show room space to accommodate them, and in some cases, what was once a one man job will now require two men. All of these cost increases will be passed on to the consumer in higher labor and higher material costs. Do-It-Yourselfers will find it a challenge to install these new heaters. No one faults anyone for trying to do something themselves; however, all of these factors – the increase in size, weight, and possible relocation of the heater – will make a DIY project much more challenging. Will the increase in cost be offset by a decrease in energy consumption and energy cost? The DOE answers with a resounding ‘YES!’ Only time and your electric and gas bills will tell the story. For further information, may we suggest that you go the internet and search for the National Appliance Energy Conservation Act. Various water heater manufacturers also have information on their web sites. You may also call Aaron Kramer Plumbing for further information on the new regulations and also for information on any of your other plumbing needs such as sump pumps, faucets, toilets, garbage disposals and drain cleaning. We can be reached at 937-898-0008. YOU WANT TO DO WHAT! IN MY KITCHEN? Could this be what Mrs. John Hammes exclaimed to her husband when he told her that he wanted to run some experiments at her kitchen sink AND that the ‘results’ of his experiments would end up in a ‘pool’ in their back yard, outside her kitchen window? “My dear, my experiments will make easier work for you and, hopefully, it won’t take me long to perfect my idea.” Well, after 11 years of experimenting under her kitchen sink and retrieving the ‘results’ of his experiments from the ‘pool’, he did come up with an invention that would make work easier, not only for his wife, but all households. John Hammes was first a farmer, then a carpenter, and finally a contractor turned inventor who began 11 years of experimenting with various models and motors of what became known as the ‘garbage disposal’. Various models were installed under his kitchen sink, food scraps put down, and the results piped into a pool in the backyard where he then retrieved the results in order to test how effectively each new model was grinding up the scraps. Mr. Hammes took out his first patent in 1935 and in 1938 the In-Sink-Erator Manufacturing Company of Racine, Wisconsin, was born. Mr. Hammes and his two sons built and sold 52 models that first year. Today, In-Sink-Erator is one of the most well-known brands in the country of a common household appliance. In the beginning, Mr. Hammes faced many obstacles to his invention. The greatest were the regulations of municipalities against having food waste put into their sewer systems. It took many years of meetings and lobbying with municipal leaders for him to convince them that the food waste would not clog their systems or sewers. One of the last cities to be convinced was New York City, and that was not until 1997! It was not until the 1970’s and 1980’s that the disposal was found in most high-end homes, and not until the first decade of 2000 that 50% of homes in the United states had a disposal installed. Disposals have a tendency to be loud and noisy, but thanks to new technology, the disposals on the market today are quieter, jam less, and grind the scraps even more. When in the market for a new disposal, keep these things in mind: check for the noise rating, how many grind chambers it has, and what size unit is recommended for your family size and for the amount of entertaining that you do. 1. put the food into the unit slowly. 2. occasionally put down small bones and small seeds into the unit. This will help keep the walls of the disposal clean. 3. run cold water only when processing food scraps and allow it to run for approximately 20 seconds after all the food has been processed. This will help keep the food from collecting in the unit and the pipes. 4. occasionally put in an orange or grapefruit peel to freshen the disposal. A small amount of dish soap can also be put down the disposal keeping the cold water running for approximately 20 seconds. 1. put bleach or any other caustic liquids, such as drain cleaners, into the disposal. 2. use hot water, only cold. Refrain from pouring boiling water into the kitchen drain. Add cold water while draining hot water (such as pasta water) into the sink. 3. turn off the disposal too soon after putting food scraps into the unit. Housewives are probably the largest group who are thankful to Mrs. Hammes for allowing her husband to install unit after unit under her kitchen sink, and for allowing him to have the ‘pool’ in the backyard. Perhaps after her first question of ‘you want to do WHAT in my kitchen”, she very sincerely said, ‘thank you, dear’. For further information concerning garbage disposals, or perhaps faucets, toilets, water heaters, clogged drains, sump pumps, or pipe leaks, please contact Aaron Kramer Plumbing. We would like to be your ‘Dayton, Ohio local plumber’. Word games have always been popular – crossword puzzles, Jumbles, acrostics, Wheel of Fortune and now, Words with Friends. So, what is your GPF? If you know what GPF means, you win 12 rolls of toilet paper! If you didn’t know what it means, you get um, a catalog. Your water bill is a total of your water usage for bathing, washing clothes, dish washing (whether by hand or dishwasher), hand washing, flushing toilets, and outside work such as watering your lawn and plants, and washing your vehicles. Oh, and don’t forget kids playing in the sprinkler or filling up swimming pools. Of that list, which one uses the most water? Bathing? Washing clothes? Outside work? Actually, it is the same thing for almost every household. According to the EPA, flushing our toilets accounts for nearly 20% (some say higher) of the total water used in our homes. Knowing the GPF could help greatly lower your water bill. GPF means ‘gallons per flush. Frankly, most oF us aren’t too concerned with the GPF – we just want to make sure that what is in the bowl, leaves the bowl. Most toilets made prior to 1970 used over 6 gallons of water in a single flush – a 6.0 GPF. Due to droughts, water shortages, etc, some states began setting water usage standards. In 1978 California enacted legislation that set a 3.5 GPF standard for toilets. Other state soon followed California’s lead. In 1994 the standard was lowered to 1.6 GPF and now, in California, beginning January, 2014, the standard has been lowered to a 1.28 GPF in all newly built homes and in any home being remodeled. As before, once California made their move, others were quick to follow. The lowered water use sounded wonderful; however, consumers were quick to complain. Why? Instead of flushing once, consumers were flushing their toilets multiple times, thus negating any savings on their water bills. Pressure began to mount on the manufacturers from consumers and legislatures to modify and redesign their toilets to provide what the consumer wanted – one flush per use. Further pressure then came from the EPA when it developed its ‘Water Sense’ program. Under this program, all toilets wanting to earn the ‘Water Sense’ label must have a 1.29 GPF. Manufacturers heard them loud clear, and they responded. Today you can find a list of over 2000 different toilets that have earned the ‘Water Sense’ label. To earn the label, a toilet is tested by an independent agency using the MaP Testing program. (see prior blog – Not All Toilets Are Created Equal) The testing is voluntary and the manufacturers pay for the testing themselves. There is pressure from all sides for the manufacturers to have their toilets tested. Do ‘Water Sense’ toilets cost more? Yes, they can; however, with rebate programs that have been offered in some states and the savings on the water bill the extra cost can be recouped in a few years.